Jerusalem singer-songwriter Ben Reuven has done what no other Israeli has ever done before him – he has written and recorded a rousing anthem tribute to the United States called “America, America, ” in the hope and expectation that Americans will adopt it as one of their popular anthems. The lyric of this inspiring and very catchy song encapsulates both the themes of the history and geography of the USA and above all the democratic values that make it such an example to the rest of the world. 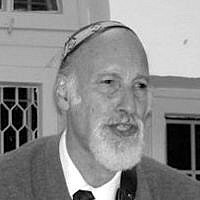 Ben Reuven will shortly be celebrating fifty-three years in Israel since immigrating from England, shortly after graduating from Cambridge University where he headed the University Israel Society and studied Modern Languages. In Israel, apart from writing songs and performing, he also works as a freelance translator. Ben Reuven acknowledges that his songwriting owes much to the British and American musical traditions, from rock to folksong, and major influences on his compositions and singing style include Elvis, the Beatles, Engelbert Humperdinck, Roy Orbison, Pavarotti and Mario Lanza. He also has written songs in French, Spanish, Ladino and of course Hebrew. Incidentally, one of the main aspects of the song’s appeal, Ben Reuven points out, is the very fine arrangement by the talented musician and singer Yehuda Pritt. Attached to this press release are the recording of America America and the lyrics. For every creed and hue. London-born David Herman came on aliyah in 1966 after graduating from Cambridge University. In the 1960s, he founded the Good Times Publishing Company specializing in publishing newspapers in simplified English, French and Arabic for the Israeli school system. David currenty works as a translator, and is also very active in the field of songwriting and performing under the musical name, David Ben Reuven.